I have some work to do before January. I've been using Flickr's free version that promised me 1TB of storage since 2007. I went along with Flickr when it wanted me to install an auto-uploader on my desktop. I installed it on my phones as a secondary (full size) backup to Google Photos. I even half-heartedly believed the whole SmugMug and Flickr better together company line. I know, a business needs to make money, and storing my photos for free isn't making Flickr (now SmugMug) any money, so I get to try to figure out how to store nearly 40,000 photos that I already have stored in several places. But Flickr does not make it easy. When a hard drive died a while back, I was saved (to some extent) because the photos on that drive were also on Flickr. The problem is that the downloading option is pretty awful, and I've run into huge problems getting the zip files to download properly. And that's on a desktop on both Google Fiber and now AT&T Fiber. So I know it's Flickr. Of course, that did not matter when all my photos were also safe somewhere in the cloud. But now my cloud will disappear into the air. Some photos will likely be lost in the process, and I can only hope they aren't the ones I've already lost off my hard drive. Many of you are just shaking your heads, thinking I should just pay the $50 a year. NO! I'm not saying it's a poor value, but I went all-in when Flickr kept bugging me to do it. And I felt so clever that I could use all this free storage. Besides, all of my images don't even take up half the current 1TB limit, so I'll just buy a 1TB drive of my own. Probably two of them. If you'd like to download all of your photos, including all of your data, go to your Flickr account settings and select Request My Flickr Data on the bottom right of the page. We'll see if that works. 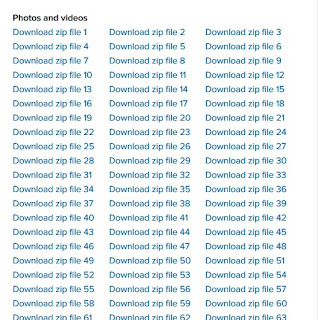 My zip file of a single month I tried to download initially gave me an error, but it later showed up in my Flickr Mail. Maybe that means all of my files will show up there eventually, but at nearly 40,000 photos, that might take some time. But a lot less time than going month-by-month back to 2007. As a reminder, companies that offer free online tools are free for a reason. If there's no money to be made, the tools will eventually cost you, and then you'll have to find another option. Google Photos, Facebook, whatever. Eventually, if advertising doesn't keep it going, people who invested all of their time into the free offerings will need to support the system with cash. If I was interacting with the other users on Flickr, sharing most of my photos, or allowed to sell my photos without moving to SmugMug, I'd probably opt in for the Pro Flickr account. And this might be an option for you, unless you're as cheap as me. 24 hours after requesting all my data...nothing. I went back a week later, and now it says my data's been requested, but I have yet to get a link to download. At some point, my data was made available to me. I believe I checked maybe three days ago, so between 10 days and two weeks it took. Good news is I have zip files of all my photos. 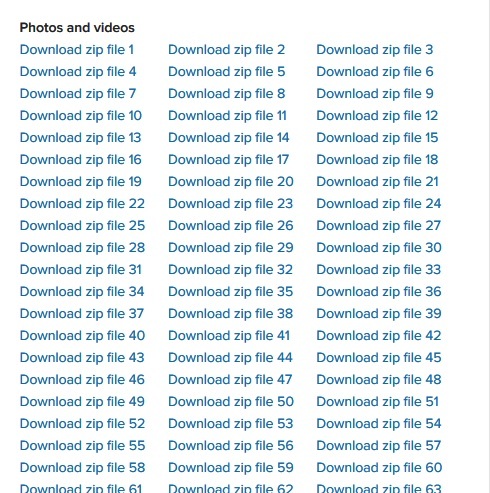 Bad news is that's 78 individual downloads. I have fast internet. Sorry for those who don't, especially with Flickr's often dropped or slow connections. Flickr, of course, has no incentive to make this easy on me. Since I'm only using 14% of the 1TB, that means someone with about 1TB of free space would have over 500 individual zip files to download. I can just imagine Flickr employees going, "How do ya like free now, Scrooge?" I've been trying to get my free account down to 1000 photos. On the top of the screen, it says I have 3300 photos, but my count (when I select all of them) is around 1300. I tried deleting albums. I've already deleted like 30,000 images. If I delete 3300 more, I'll be at -2000 images on Flickr. Just be aware of this if you have an account that you're purging. It's silly to go way under 1000 if you share a lot of some older photos like I do, but the counter on the top of the screen is not (apparently) accurate.